[48% OFF] 2019 Lace-up Striped Tunic Sweater In MULTI | ZAFUL .. 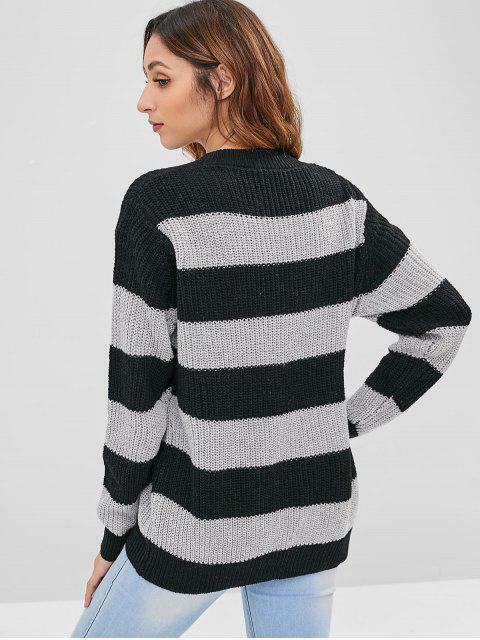 The jumper is distinguished with a lace-up fastening at the V-collarline and patterned with two-tone striped. The relaxed shape is finished with traditional ribbed edges. Wear yours to bring effortlessness to tailored trousers and skirts.